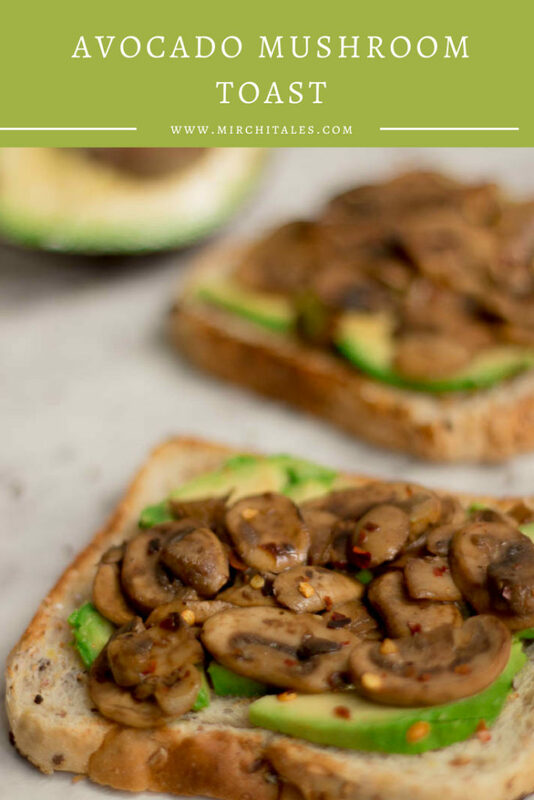 Fresh mushrooms sautéed in garlic, avocado slices and of course lemon juice and salt come together to make this delicious avocado mushroom toast. Enjoy for breakfast, brunch or even dinner. The first time I tried avocado was as guacamole with tortilla chips and for years that was the only recipe I tried. As much as I loved them, avocados can be pricey and there is always that risk of them being under-ripe. Now that I am more comfortable with judging the correct ripeness and am able to find them at a better price, I am more experimental with recipes. One of my favourites has to be avocado toast. My simplest version of avocado toast has to be avocado, salt, olive oil and lemon toast over toasted bread. 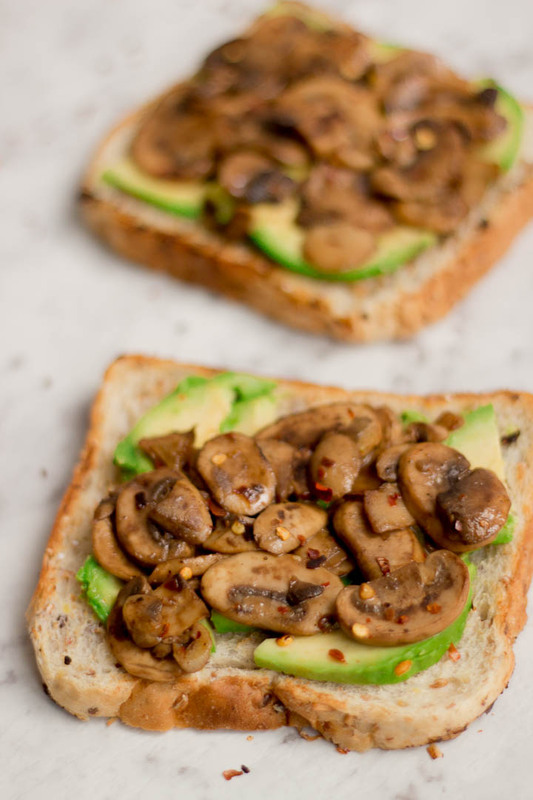 But when I am in the mood for something substantial I make avocado mushroom toast. Fresh mushrooms sautéed with garlic, salt and red chili powder. 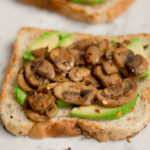 Tawa toasted bread topped with avocado and then the garlic mushrooms. Top with another bread slice or keep it open faced. Delicious! 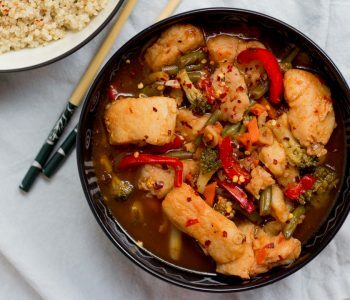 Try out the recipe, rate it, and let me know how it was in the comments below! Heat oil. Add sliced garlic and saute for about 30 seconds. Add mushrooms along with salt, black pepper and red chili flakes. Cook on low-medium heat for about 5 minutes. The mushrooms will start releasing moisture and change colour to brown. 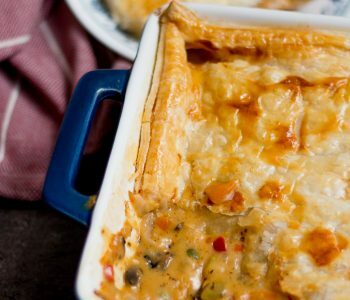 Once the moisture has evaporated, take them off heat and place in a small bowl. In the same frying pan, toast the bread slices on both sides. Add more butter/oil if needed. Cut the avocado in half and remove the pit. Use a knife to cut out slices of the avocado or scoop it out in a bowl and mash. Place the avocado slices or mashed avocado on the toasted bread. Season with salt and fresh lemon juice. Use a spoon to place mushrooms on the avocado. Serve as it is for an open faced sandwich, otherwise top with another slice of toasted bread. Wow, these look mushroom-sellent 😛 (sorry, couldn’t help myself!) and so, SO convenient! I always kind of assumed that toast-based dishes had to be consumed that morning/day, but I’m glad to hear that’s not the case. 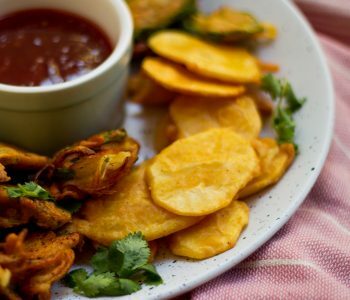 looks a tasty its yummyyy.